This was a great introduction to the subject. It turns out nonlinear systems are everywhere. Engineers have fooled ourselves by linearizing things for so long. We've basically pretended nonlinear responses are linear, so that we can deal with them. 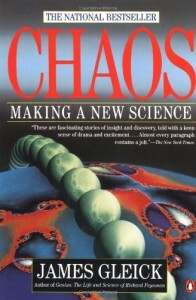 It turns out there is some extremely surprising and interesting behavior which is predictable in a general way, even if unpredictable in an exact way, that we've overlooked up to the last decade or so when Chaos as a science began to yield so many interesting results.